You are here: Home / Deals / 50+ Stocking Stuffers for Under $3 Each! 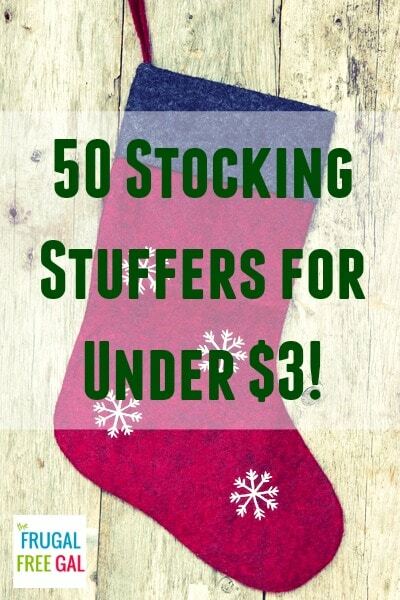 50+ Stocking Stuffers for Under $3 Each! Are you looking to save money on stocking stuffers this year? Here’s a list of stocking stuffers under $3 each! Fill up your cart and stockings with these stocking stuffers below! You don’t even have to leave your house! Note: Prices can change any time! While you are here, stick around and request FREEBIES or download FREE Kindle Books! Thanks for the great ideas! I especially love the Pajanimals DVDs. I’m disabled so I don’t drive. This makes shopping easy on me and my wallet! kristiedonelson(at)gmail(dot)com Thank you. Merry Christmas!